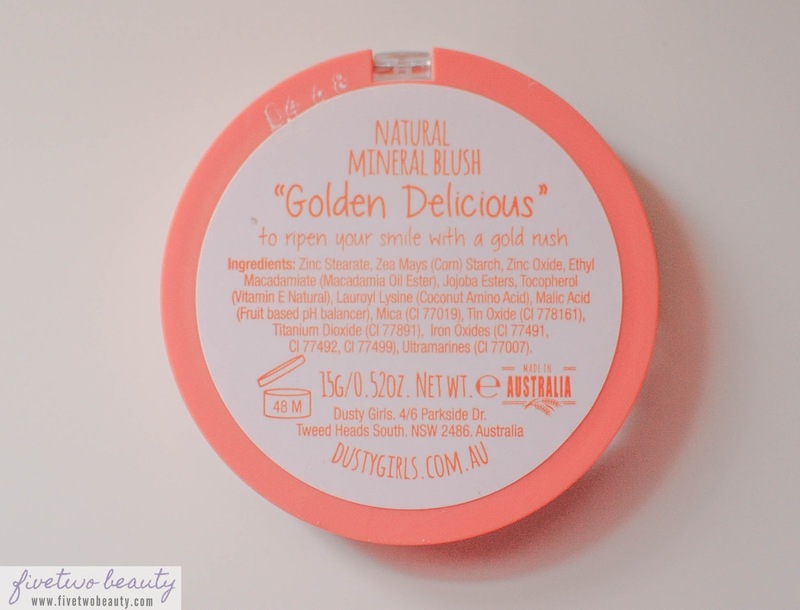 Natural Mineral in "Golden Delicious"
Dusty Girls, an Australian company based out of Burleigh Heads, Gold Coast. We create Natural Mineral Makeup from quality, safe and effective ingredients that encourage and promote healthy skin so you can look your best even when the makeup comes off. Dusty Girls is 'farmed by MooGoo',an all-natural skincare company that makes products for people with sensitive skin issues. Free of silicones and UV filters, that are common skin irritants. It includes natural ingredients like Manuka Tree Leaf Oil and Nigella Sativa Oil (great for reducing acne) along with Magnolia Acuminata Extract and Chaulmoogra Tree Seed Oil (idea for soothing and repairing). 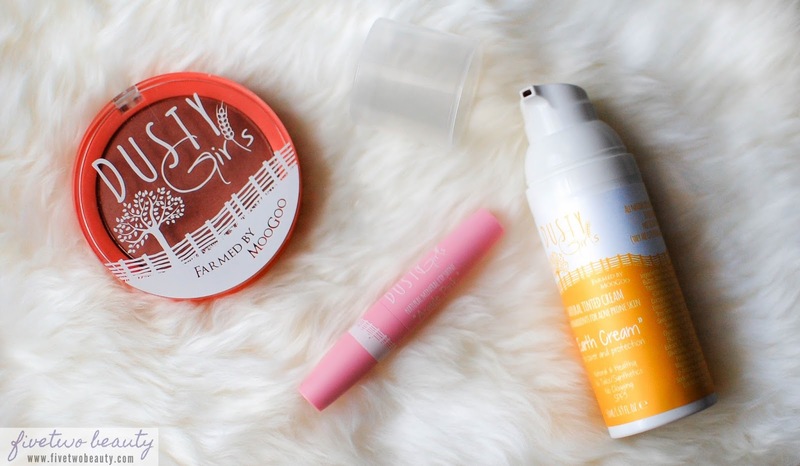 This multi-tasker can replace your moisturizer, sunscreen and foundation. The best way to apply this is with your fingers. I only use 1/2 a pump at first and if I do need another layer for coverage, after it dries I will do another 1/2 pump. It has a subtle scent of mineral clay to it which will go away as it sets. I had a hard time blending this out as it clings to my fine lines and dry skin, so I add some moisturizer to it. They do suggest that you can apply a mineral powder foundation on top if needed for more coverage. 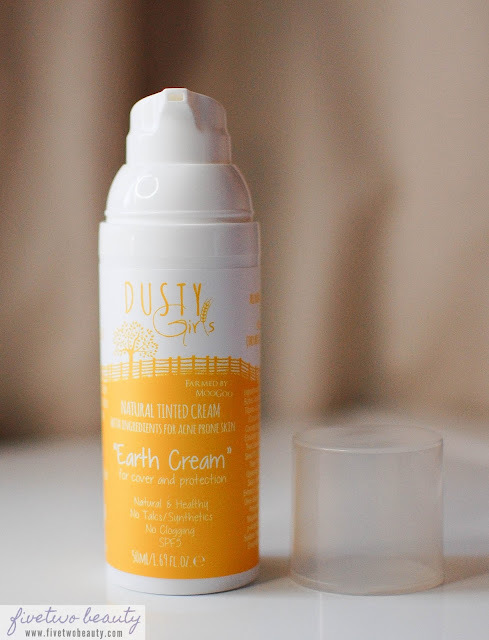 For the past few weeks I have been testing the Earth Cream, I found this do even my skin. It isn't as moisturizing as I like but then again it does mattify the skin as it sets. This lip shine not only gives you a natural pink rosy shade of colour but also conditions and moisturises your lips too. It is made from beautiful oils such as Apricot Seed Oil, Watermelon Seed Oil and Sweet Almond Oils. No lead, no carmine (beetles), just loads of natural rosiness. The product I received had a faulty packaging, it wasn't twisting down and so I had to push the product in with my lips before covering it. This may have been better packaged in a jar than a tube because of the softness of the product. 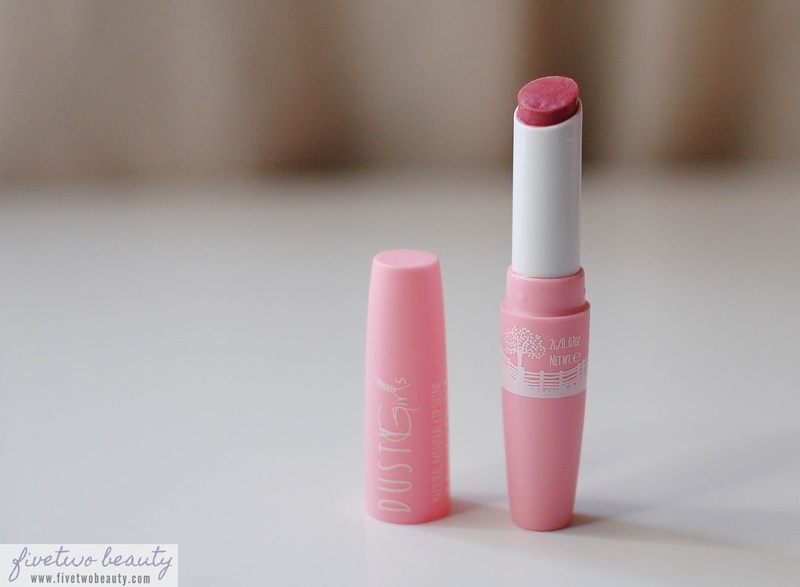 I do love the subtle pink and shine it leaves on the lips, and how moisturizing it is. I do like to keep this in the fridge before using it because it gets very soft, and can get messy around the tube. Full of the healthiest natural oils,oxides and micas available that will nourish your skin while adding a subtle sparkle that will ripen your smile. No chemical preservatives, talc or bismuth. This shade is beautiful on a tanned skin as it gives you that peachy-golden glow. You only need a little bit of this and do be careful no to go overboard with the blush as it can look very orange-y on the skin, take it as a warning as I have done it. I also use this sometimes as an eye shadow if I just want some color on the lids with my winged liner. 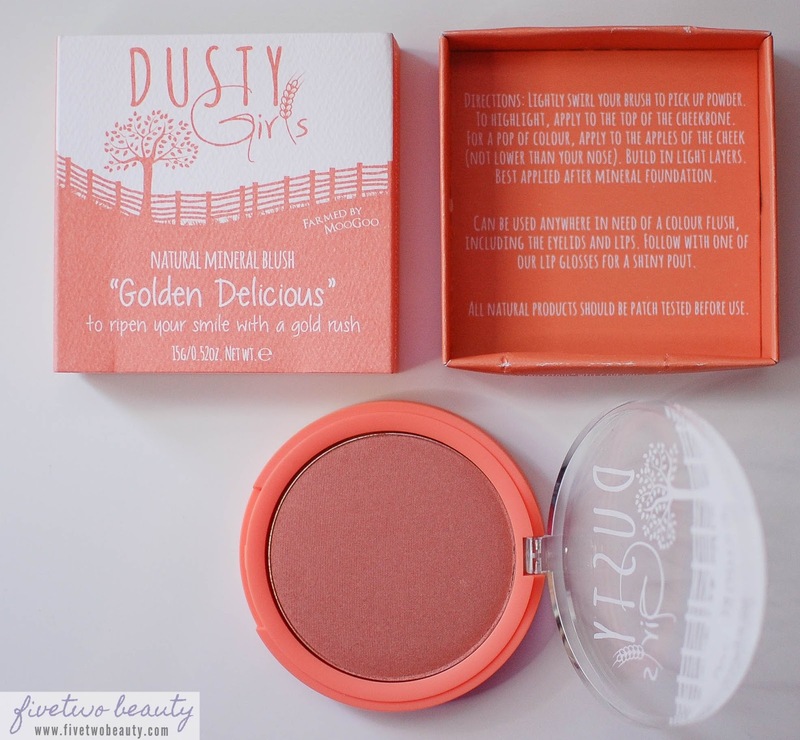 Overall, Dusty Girls is a good brand to try if you are looking into trying and using all natural, mineral-based beauty products. In time, I am sure the necessary improvements will be done, there's always room for change. I do feel good knowing that these products I put on my skin have no harsh chemicals in them.